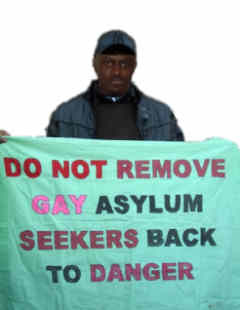 Human Rights Activist Sir Clare Roberts has told [the Antigua & Barbuda] government it should have taken the lead in the local fight to reduce stigma and discrimination against persons of a different sexual orientation by signing a recent United Nations statement on Gay Rights. “Government has to set the trend. It can’t just follow the sentiments of the populace; you have to do the right thing and lead people in the right direction. I suspect Antigua did not sign because it would not make for good domestic coverage,” he surmised. The former president of the Inter-American Commission on Human Rights was referring to the agreement which 85 states signed last month, committing them to taking steps to end violence, criminal sanctions and related human rights violations linked to sexual orientation or gender identity. He is disappointed that Antigua & Barbuda is not a signatory, noting that increasingly the human rights record of countries are being put on the front burner and are guiding bilateral relations. “It’s being looked at more and more in terms of trade, loans from the World Bank but I’m not sure that in this particular instance not signing the statement will have that great an impact on Antigua’s relationship with other countries,” Sir Clare said. He lamented the fact that the Antigua & Barbuda public is growing more intolerant of the rights of gays, lesbians and trans-sexuals but dismissed as “melodramatic” suggestions that they are unsafe here. “I am not aware of violent incidents against gays here. I think it is to be a little melodramatic in Antigua to say gays are in fear of their lives. The intolerance has not reached the level of, say, Jamaica where people have been killed just for their sexual orientation,” the human rights activist said. 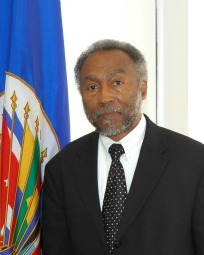 The US State Department’s 2010 Human Rights Report on Antigua & Barbuda stated that some gays and lesbians said they feared being open about their lifestyle would result in possible violence.